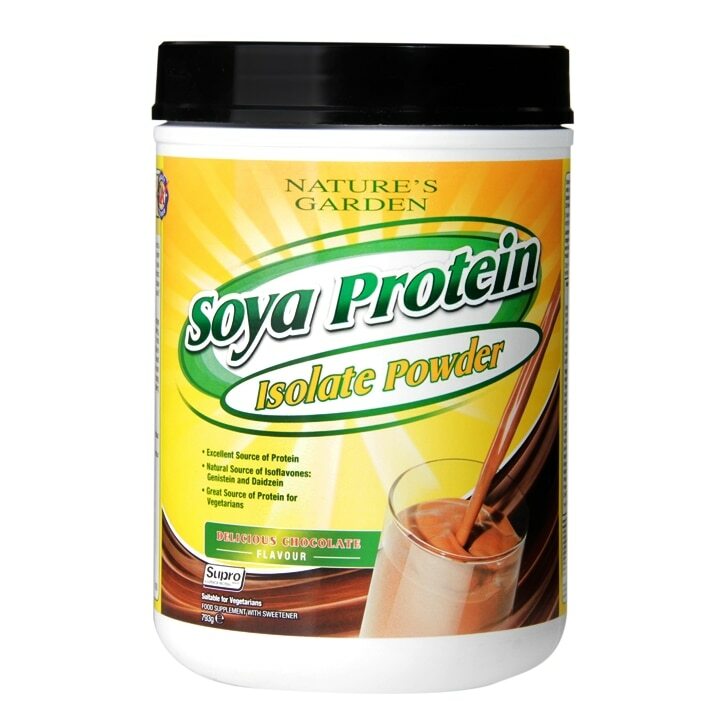 Holland & Barrett Soya Protein Isolate Powder Delicious Chocolate is rated 3.9 out of 5 by 50. Rated 5 out of 5 by diddyliddy3000 from Delicious I bought this with the voucher in the men’s health magazine and I am not disappointed! It tastes delicious (especially blended with a banana)... quite addictive actually! Rated 5 out of 5 by Jaza from Very filling I have tried both the strawberry and the chocolate, but return to the chocolate every time. Have found this to be very filling, I mix with water or soya milk and find both palatable. Rated 5 out of 5 by Bruno1957 from excellent product I bought the product directly at the store, nice taste, I will buy again on the website. Rated 5 out of 5 by Sunny7 from Great product Use this as a top up for overnight oats and making pancakes. Love the consistency and flavour. Keeps you fuller for longer. Rated 4 out of 5 by CarolineP from Not vegan as some reviewers state - includes MILK. I was caught out by reviews indicating product is dairy free - should have read ingredients properly. I agree with reviewer who feels it has consistency of clay when trying to mix it with liquid. Tastes good - just hope it adds sufficient protein to my slightly deficient vegan diet. Will later look for vegan alternative.